Replacing your home’s roof is a major project that can cost a small fortune. While you may want to delay this project for as long as possible, it’s important to understand that your roof needs to be in great condition in order to protect your home from the elements. Knowing when you need a roof replacement versus a just a repair is essential if you want to responsibly care for your home. If you are wondering if you need a roof replacement, consider the many benefits that a quality roof provides to your home. A roof that is well-maintained is impermeable to moisture, pests, and more. It offers energy efficiency benefits and it protects the structural integrity of the home. A quality roof even improves curb appeal and helps keep your property value up. Because of the importance of your roof’s condition, knowing when to replace your roof is essential. These are some signs that you need a roof replacement. The lifespan of a roof will be based on many factors, including the type of roof that you have, how well-maintained it is, and the climate. 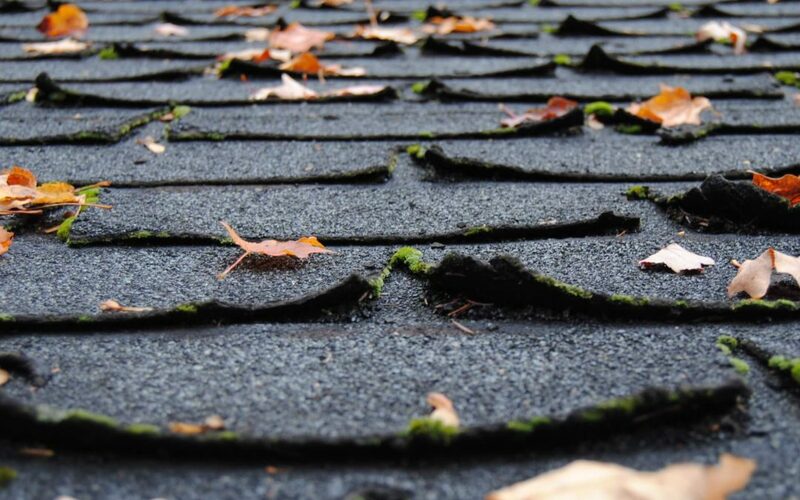 An asphalt shingle roof may have a lifespan between 20 to 30 years depending on the shingle quality, but severe weather and other causes of damage can shorten it. If your roof is approaching the end of its useful life, you probably need a roof replacement. By doing so, you are taking steps to reduce the likelihood of water leaks and other serious issues. Your roof may still need to be replaced before it reaches the end of its estimated or average life if the shingles are in poor condition. Shingles must lay flat in order to protect your home from damage. You may notice that your roof’s shingles are curling, buckling or cracking. A few damaged shingles can be replaced, but many warped shingles may indicate that you need a roof replacement. Scheduling an annual roof inspection can tell you more about the current condition of your roof and whether it’s time to replace it. While some shingles may be damaged, others may be missing. Shingles may fall as they deteriorate with age. Strong winds may blow them off, or tree branches may dislodge them. Some homeowners notice shingles laying on the ground after a storm, but there may be instances when the shingles blow far away from the home. Remember to routinely look at your roof from the ground level; oftentimes you can spot areas with missing shingles without having to get up on a ladder. Asphalt shingles have a rough texture when they are in good condition. This is because of granules located on the top layer of the shingles. As shingles deteriorate and reach the end of their useful life, they begin to shed granules. You may notice black pebbles on your patio, around the perimeter of your home or even in your gutters after a rainstorm. If you notice this sign, you may need a roof replacement soon because bald shingles don’t effectively repel water. These are all likely signs that you need a roof replacement, but the best way to determine the condition of your roof and how much life remains is to schedule an inspection with a professional home inspector or a certified and licensed roofer. Consider scheduling a home inspection annually regardless of the age of your roof so that you can address repair or maintenance needs before they become bigger problems. Safeway Home Inspections serves North and Central New Jersey with home inspection services for home buyers and home sellers. Contact us to schedule an appointment.